Sell off old treasures and completely redecorate the living room. "If you like to design rooms and buy furniture, Home Designer: Living Room is for you! I had lots of fun buying and buying. The March 3 gameplay is fun too. This game has everything! You will spend lots of fun-filled hours playing it." Design the living room of your dreams in Home Designer: Living Room. Hazel is helping her aunt with her home renovation. To complete the task, you must sell off old stuff from various rooms in the house and completely redecorate the living room. Enjoy tons of Hidden Object modes including Picture, Word, Silhouette, Night Mode, Mirror Mode, Anagram, Mystery Word, Spot the Difference, Memory Mode and Flash Sale. Learn useful design tips and then apply your newfound knowledge to your own home design. 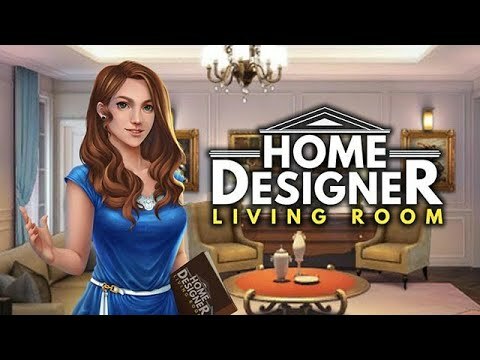 Featuring 15 different Hidden Object variations, Match 3 mini-games, and more than 150 choices of furniture, Home Designer: Living Room truly is endless fun.